We may use the information to improve our products and services. We may periodically send promotional emails about new campaigns, charity appeals, job offers or other information which we think you may find interesting using the email address which you have provided. From time to time, we may also use your information to contact you for market research purposes. We may contact you by email, phone, fax or mail. We may use the information to customise the website according to your interests. Our website may contain links to other websites of interest such as other charities. However, once you have used these links to leave our site, you should note that we do not have any control over that other website. Therefore, we cannot be responsible for the protection and privacy of any information which you provide whilst visiting such sites and such sites are not governed by this privacy statement. You should exercise caution and look at the privacy statement applicable to the website in question. You may choose to restrict the collection or use of your personal information in the following ways: whenever you are asked to fill in a form on the website, please indicate that you do not want the information to be used by anybody for direct marketing purposes or contact Medical Relief International at the following address contact@medical-relief.org If you have previously agreed to us using your personal information for direct marketing purposes, you may change your mind at any time by writing to or emailing us at contact@medical-relief.org We will not sell, distribute or lease your personal information to third parties unless we have your permission or are required by law to do so. We may use your personal information to send you promotional information about third parties which we think you may find interesting if you tell us that you wish this to happen. You may request details of personal information which we hold about you under the Data Protection Act 1998. A small fee will be payable. If you would like a copy of the information held on you please write to Medical Relief International, 568D Moseley Road, Birmingham B12 9AA If you believe that any information we are holding on you is incorrect or incomplete, please write to or email us as soon as possible, at the above address. We will promptly correct any information found to be incorrect.  Medical Relief International at times will use Charity checkout to process our donations on a secure third party platform. All donations made through Charity Checkout are securely encrypted and processed using SSL with minimum 128-bit encryption and firewalls. Charity checkout only store card data on PCI DSS Level 1 compliant servers, the highest level of security. Charity Checkout is fully compliant with GDPR. Their data is stored securely within the EEC.